Since 2015, Lamborghini has produced 300 of its Huracan race cars in-house at its facility in Sant'Agata Bolognese. The Huracán has proven to be Lamborghini's most lucrative production car yet as the company has now built more than 10,000 of the "entry-level" supercars in four years–– no easy feat for a small-scale manufacturer operating out of a single production facility in Sant'Agata Bolognese, Italy. 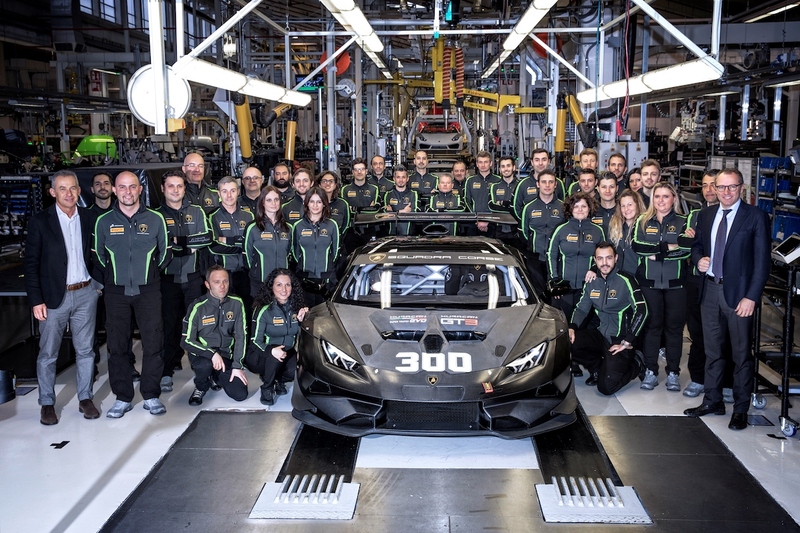 The production records continued this week for Lamborghini as the brand announced Wednesday that it has now produced 300 Huracán race cars in just three years. 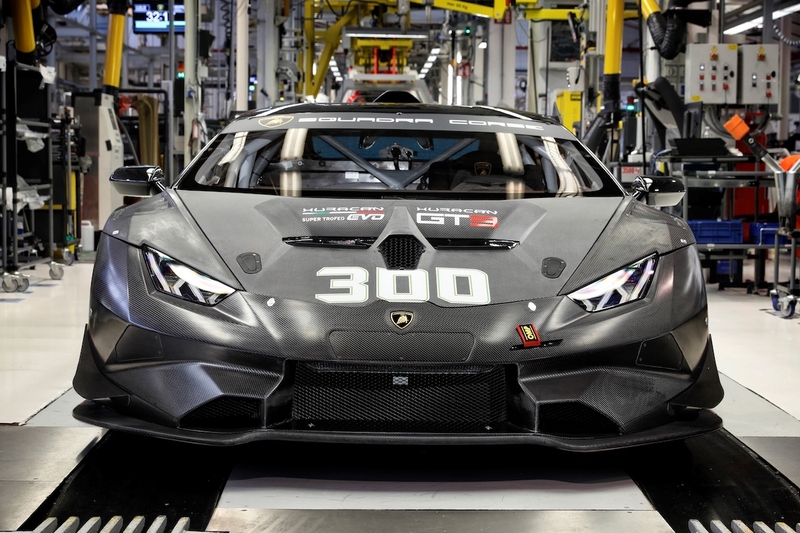 A 2018 Super Trofeo Evo completed its journey on the assembly line on March 15, becoming the 300th Huracán race car Lamborghini has produced since 2015. To clarify, that number includes both one-make series Super Trofeos and GT Racing-spec Huracán GT3s. Lamborghini Squadra Corse plans to add an additional 70 Evo variants to the 180-unit Super Trofeo fleet, complemented by the 70 GT3s it currently has in its arsenal. "In 2017, for the seventh consecutive year, Automobili Lamborghini set a new production record, with 3815 road cars delivered," said Stefano Domenicali, CEO of Lamborghini. 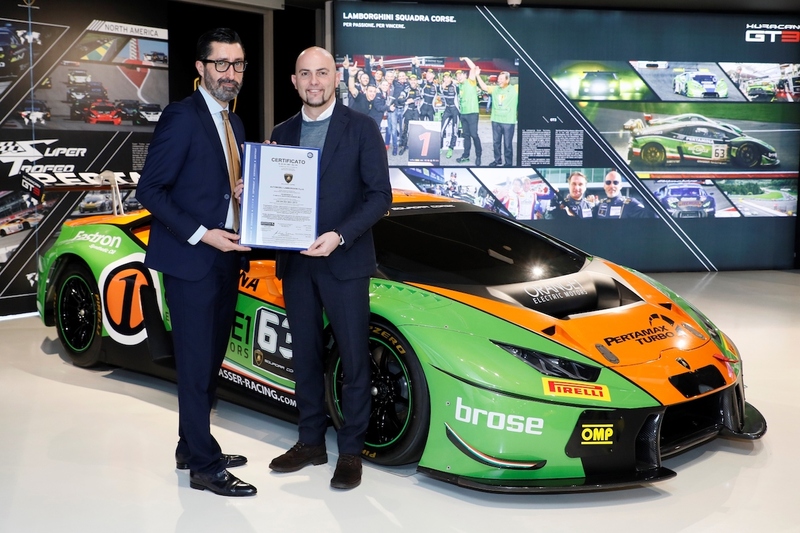 "Equally extraordinary is the number of racing cars that Lamborghini Squadra Corse has produced in just three years since the launch of the Huracán Super Trofeo and Huracán GT3, proving that the growth trend of our brand is definitely positive also with regards to Motorsport customers." These race cars are designed and built on the same production line as the road-going Huracán, but with experienced Squadra Corse personnel overseeing every part of the assembly process. "In this way, production times are reduced and the highest quality control standards are guaranteed, which, in the case of a racing car, translates into greater reliability on track," explained Maurizio Reggiani, Chief Technical Officer of Lamborghini. The extra care Lamborghini takes with its race cars clearly shows on the trackas it has dominated endurance races this year. A GT3 just took first place in its class at the 12 Hours of Sebring, adding to its extensive racing portfolio that also includes a Rolex 24 win. He may not be old enough to even have his learner's permit, but Steven Aghakhani already owns quite the collection of exotic race cars. After proving its mettle as the ultimate production track weapon, the Performante will get an update at Geneva. This race car celebrates the new partnership between Lamborghini and watchmaker Roger Dubuis.